How do you measure a zip line? Home/Geometry/How do you measure a zip line? 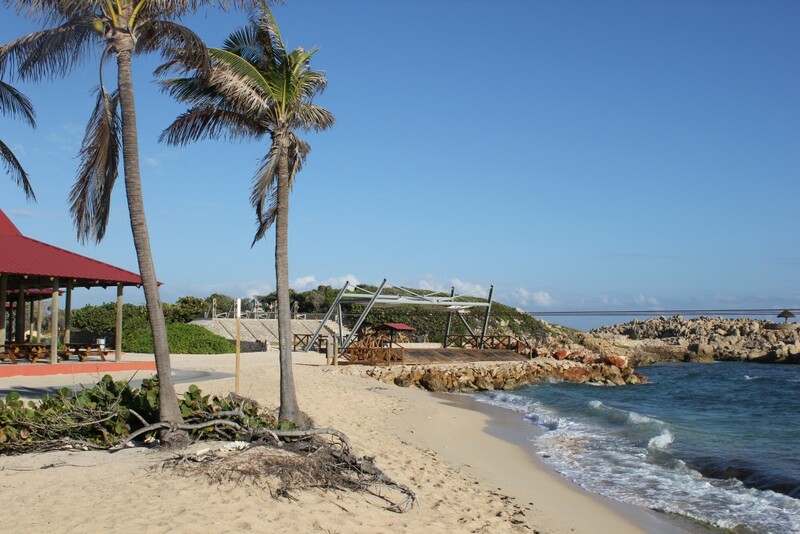 Over spring break we were treated to a once in a lifetime cruise to the Bahamas. My husband’s parents wanted to celebrate their upcoming 50th anniversary by taking the whole family to Haiti and Jamaica. 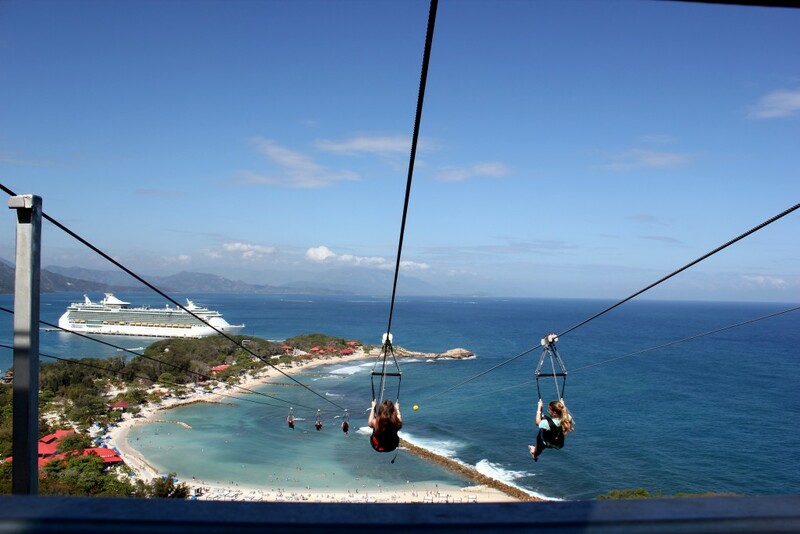 While on the trip, many of us rode the zip line down the Dragon’s Breath Flight Line in Labadee, Haiti. 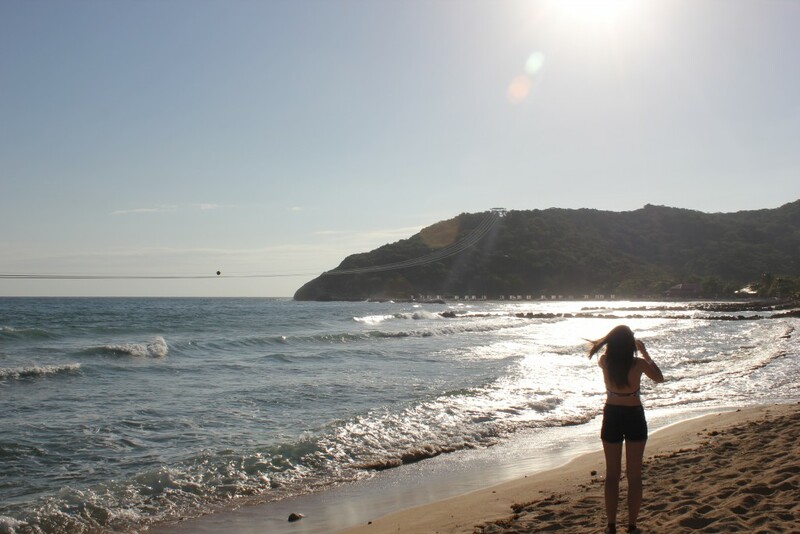 According to Royal Caribbean, the zip line is 2600 feet long and is the longest zip line over water. The zip line is 2600 feet and starts 500 feet above the beach. Find the angle of depression of the line. Things are a bit more complicated when you play with Google Earth and Google Maps, though. 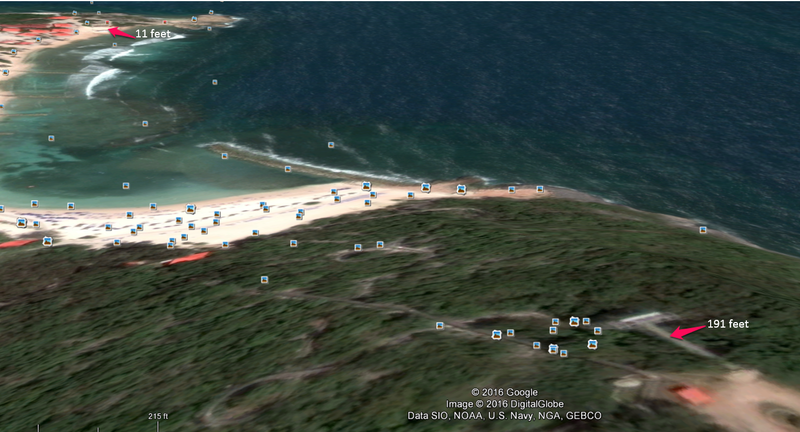 According to Google Maps, the distance between the launch platform and the landing platform is 2560 feet. 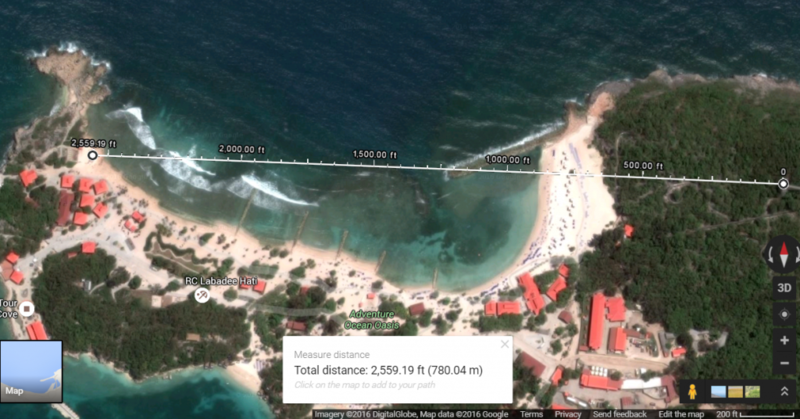 According to Google Earth, the highest elevation near the upper platform is 191 feet and the lower platform is 11 feet above sea level. The platform itself had a long ramp to take you above or nearly above the tree line, but certainly not 300 feet above the ground at that point. Add in the variable of cable sag and you have quite the math problem. My whole point to the exercise was to explain why they had to teach us “torpedo position” and “landing position”. They explained that if you were light enough and didn’t stay in torpedo position long enough, you would not make it to the landing platform and would have to be pulled down to the end.